Test the soil through your local cooperative extension service for soil pH and nutrients. Don't add nitrogen until the soil is at least 65 degrees F or higher 4 inches down into the soil. Add the recommending nutrients and till into the soil 3 to 4 inches. Remove any rocks or clots and smooth out the soil, preferably through the use of a tractor with a box blade, if you own one or can afford the expense of hiring one. This is the best way to assure that the yard will be graded properly. Water the soil so that it can settle and won't have gullies in the sod. Centipede: If you have clay or sandy soils, you might want to try Centipede sod. It should be fertilized sparingly, as it is very sensitive to fertilizer. If you want that short, manicured lawn look, don't use Centipede sod. It will die if mowed too short. 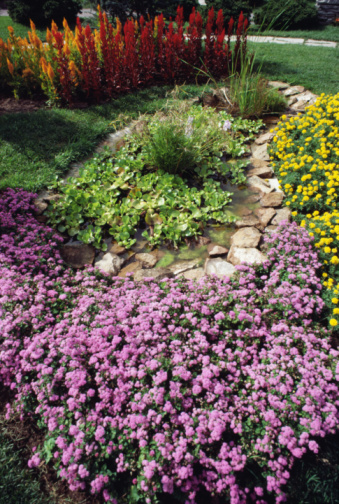 It should be watered at least 6 inches deep to get it established, and watered heavily enough that it will not die during hot weather, as it is not drought tolerant.